With the upcoming Memorial Day weekend, the official summer season is just around the corner. I am planning on kicking off this summer with a weekend in a house in the woods. 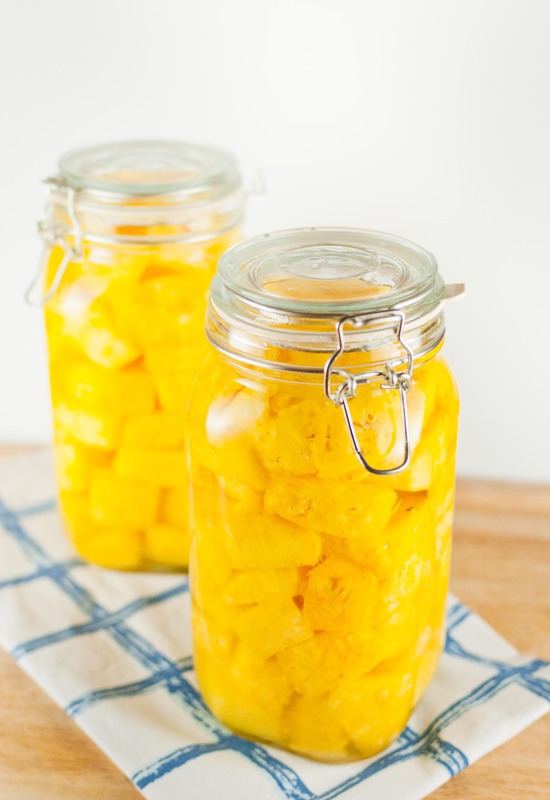 Of course food is going to be a big focus and to start, I am preparing two jars of pineapple vodka, allowing the vodka to infuse in the fresh sweet fruit for at least 6 days. Even though we might be far from the beach, I am sure a sip of this tropical drink in a few days will bring summer breezes that much closer.